Thursday, June 11 1908 -- The 1908 Republican National Convention is a week away, and although there are many with their hats in the ring to become the presidential candidate, President Roosevelt has let it be known that Taft is his choice, and that leaves the rest of the field with basically no chance. This was to be Herriman's last major cartoon for the Examiner for the next three weeks. Presumably he was on vacation. Oddly, one cartoon snuck in after two weeks, and you'll see that next week on Herriman Saturday. Connie, November 1 1936, courtesy of Cole Johnson. Follow the Connie story every Friday here on Stripper's Guide. Arthur “Art” Helfant was born in New York, New York, on August 4, 1898, according to “New York City Births, 1891–1902” at Ancestry.com, and his World War I draft card. In the 1900 U.S. Federal Census, Helfant was the only child of Leo, and Katy. His father was a manufacturing tailor. They resided in Brooklyn at 2982 Fulton. Ten years later the family of seven resided in Manhattan at 467 Canal Street; the same address was recorded in the 1915 New York State Census. Helfant had six siblings. Specific information about his education and art training has not been found; the 1940 census said he completed two years of high school. His name was listed in the 1916 New York City directory at the Canal Street address and his occupation was artist. So far, the earliest samples of his newspaper work were found in the 1917 Otsego Tidings (Milford, New York), a weekly newspaper. Helfant’s first series might have been What He Didn’t Want…and…What He Got (at this time, only three samples found). On September 11, 1918, Helfant signed his World War I draft card. He lived in Manhattan at 46 West 116 Street and was a cartoonist for A.P. Oakes, 620 Bedell Building, San Antonio, Texas. His description was tall, slender with brown eyes and brunette hair. 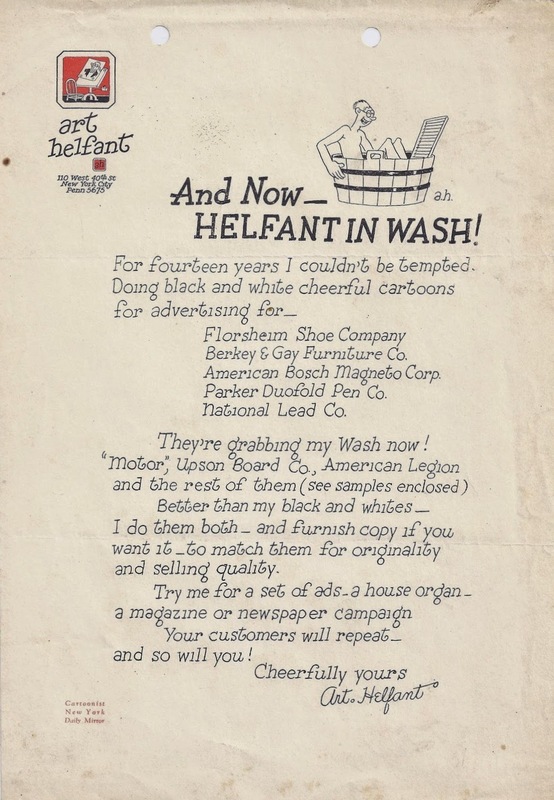 Art Helfant, comic advertising cartoonist, on December 1 will move his office from 37 East 28th street to 1133 Broadway, New York. Helfant contributed to Judge; the March 15, 1924 cartoon is here. Helfant, Art, 110 West 40th, Pen 5675 New York City. Nat’l Adv. Ill., Fiction Story Ill., Cartoons, Figure, Heads, Lettering, Black and White, Line Drawings, Pen and Ink. The 1927 edition had the same information. 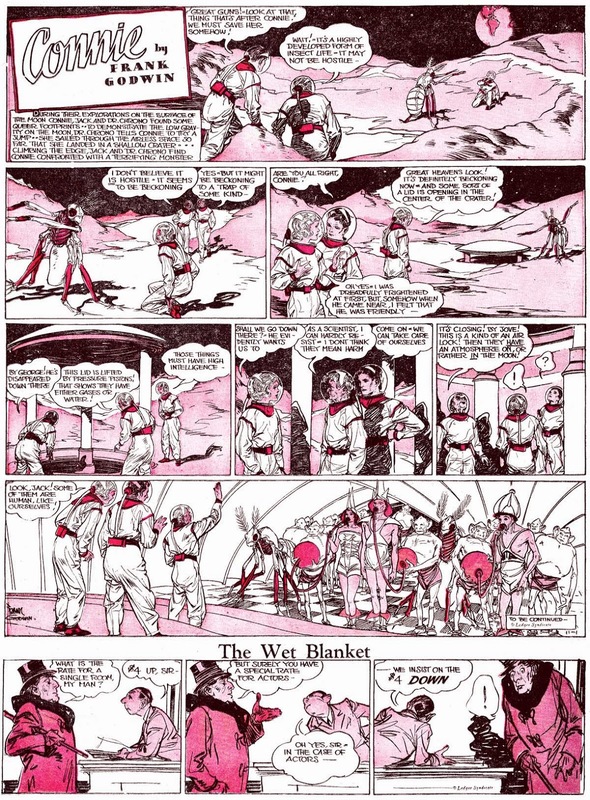 American Newspaper Comics said Helfant, in the mid-1920s, had four comics series. The first was Educatin’ Ollie which ran from April 14 to July 12, 1924. Next was Crossword Word Charlie, which debuted December 29, 1924. 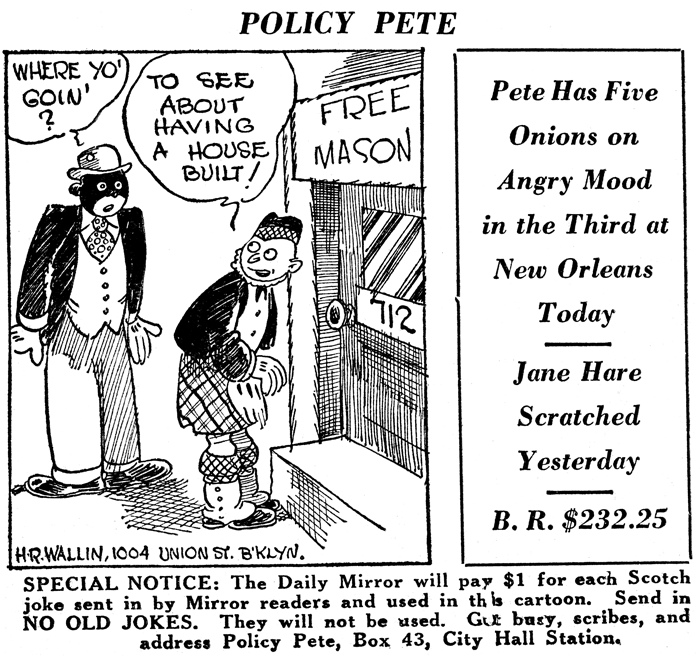 Number three was Policy Pete with a May 14, 1925 start date. Rounding out the quartet was Fables in Slang, which was written by George Ade. It began October 3, 1927. Letters of George Ade (1973) had correspondence between Ade and publisher John N. Wheeler. A letter, dated September 10, 1927, was about Helfant and Fables. I think we should remind Mr. [Art] Helfant that we are not going after the kid trade and that he should avoid making his people too low comedy. Make them good comedy characters but don't make them look too much like monkeys or we will fail to please the people who have been interested in the fables. Ade wrote to Wheeler October 5, 1927. I am sending you two more strips. I shall be keenly interested to know how Mr. [Art] Helfant feels about this stuff I am sending on. I don't wish to insult his imaginative intelligence by giving him too many directions and in the future I will not indicate anything about the pictures unless he wants some tips. As it is, I have made the suggestions very brief. It might be a good idea to let the prospective customers know that a good deal of the material contained in the new series will be entirely new. You might get up a sample sheet including new stuff sent in and ask the editors to look at it and note that we are giving a new kind of treatment to the fable material. Helfant has not been found in the 1930 census. During this decade, he produced Odd-But-True Inventions which ran from December 5, 1932 to April 24, 1933. 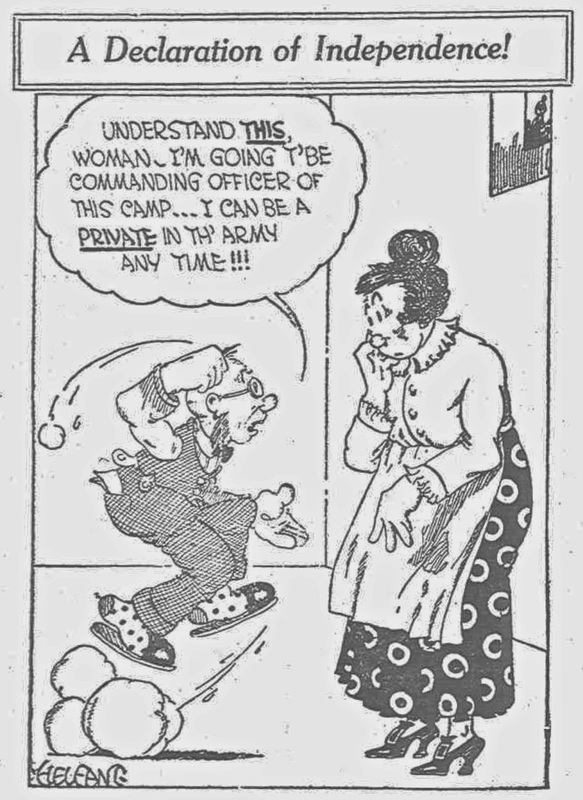 Rumpus was picked up by the Van Tine Features Syndicate, who held the copyright, and began in 1935. 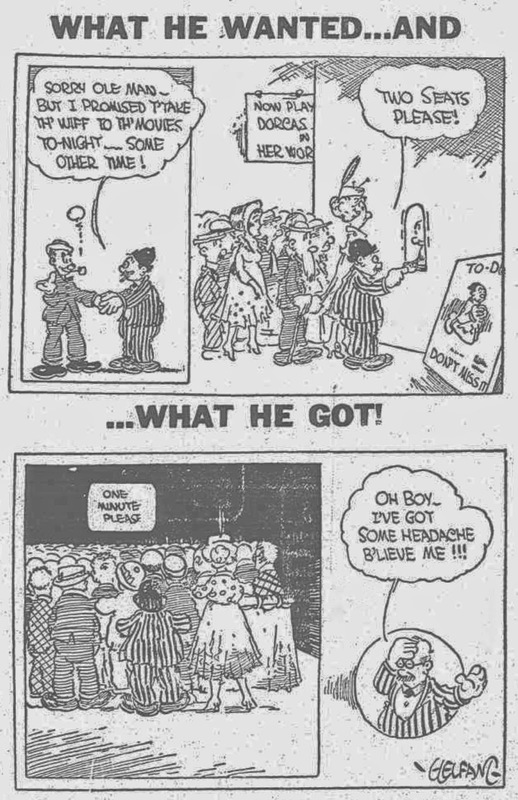 The Van Tine Features comics were announced, with much fanfare, in the West Seattle Herald, (Washington), June 18, 1936, June 18, 1936, and the Hastings News (New York), January 10, 1936 (below). 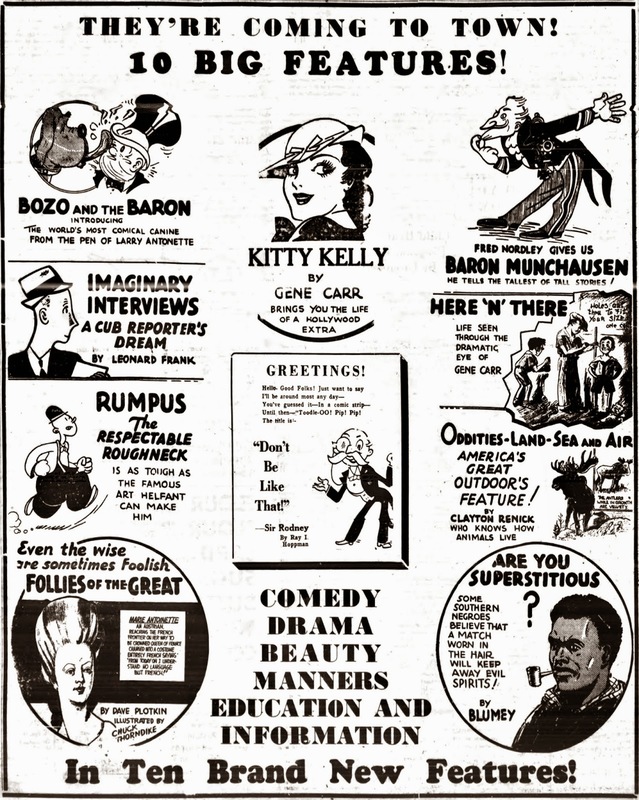 According to American Newspaper Comics, Rumpus ended in 1937. As a rule, the designing of a calling card is about as formal a job as an undertaker’s. Custom dictates the inclusion of certain definite elements and the exclusion of certain others. For instance, among those elements that are patently taboo, one would ordinarily include any phrase that falls into the category of “wisecracks.” Looking into the original purpose of calling cards, we can see that it would never do to be smart or facetious. Unless, of course, one happens to be in the business of selling humor, as is Art Helfant, cartoonist. Of course, this idea has strict limitations. That it would not work very well for the average salesman is quite apparent. But it is interesting, none the less. The American Legion Monthly, June 1936, printed this story about Helfant, who was a regular contributor. Texas, 1917–18. Regiments of khaki tents. In one of them, Art Helfant, doughboy. An electric storm brews—breaks. Lightning picks out Art’s tent. One flash—and Art Helfant, doughboy, became Art Helfant, disabled veteran. This magazine takes pride in its early recognition of Art Helfant’s genius. You have every right to share that pride because this is your magazine. 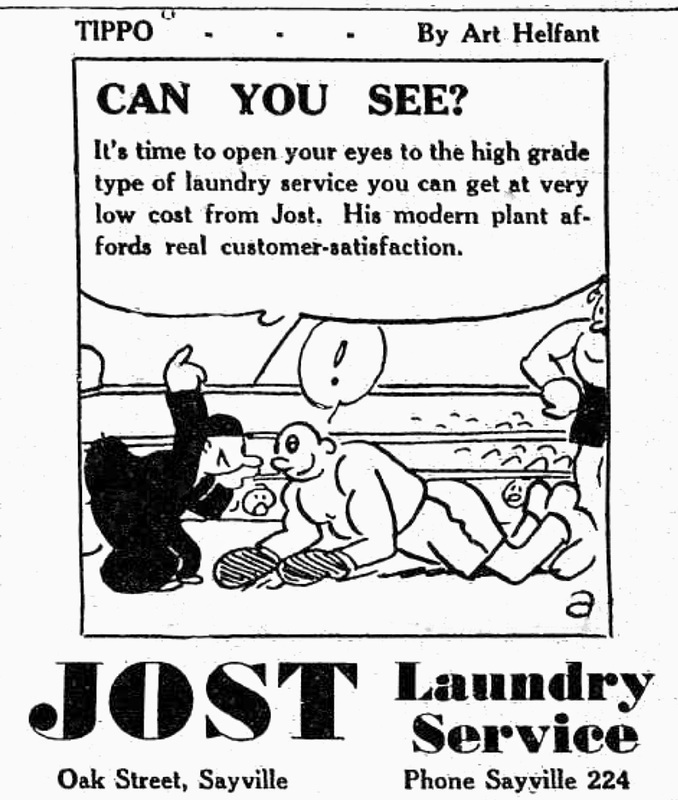 Among Helfant’s advertising projects were, locally, the Tippo series for Jost Laundry Service, from March 19 to October 15, 1937, and, nationally, Wrigley’s Spearmint Gum here and here. The 1940 census said his address, since 1935, was Sunnyside, Queens, New York on Washington Place. He had re-married to Margaret, a Scottish emigrant. Helfant was a freelance cartoonist. 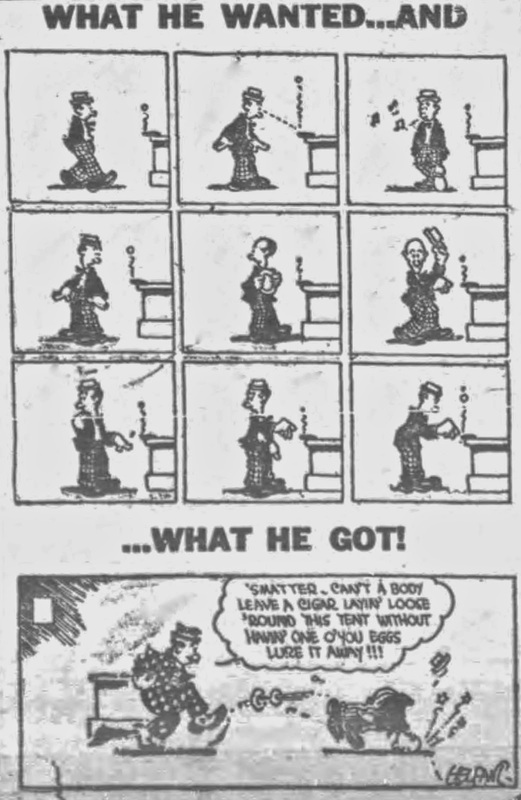 American Newspaper Comics said Helfant’s last strip was Ambrose which ran from October 20, 1952 to 1954. 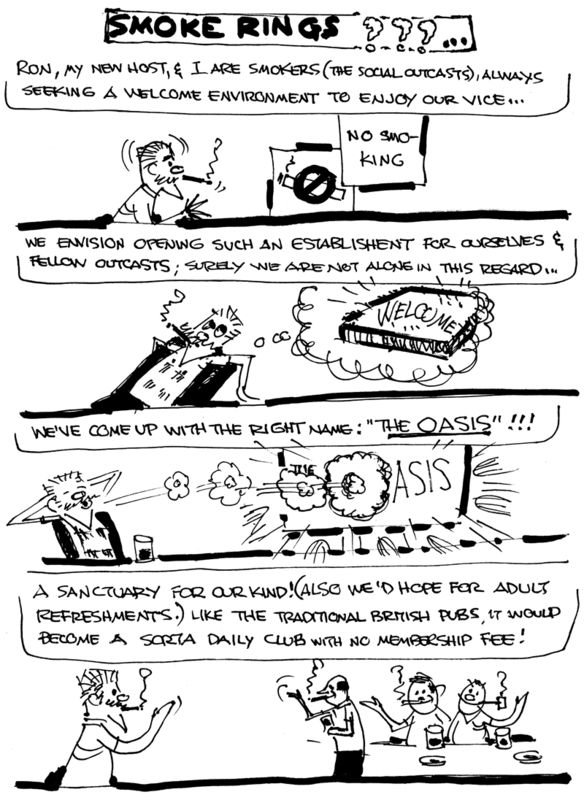 Some of Helfant’s Humorama cartoons are here. Lists of his comic book credits are here and here. One of his comic book stories can be read here. Helfant passed away July 2, 1971, in New York, according to the U.S. Veterans Gravesites at Ancestry.com. His final resting place was Long Island National Cemetery, Farmingdale, New York. Hearst's New York Mirror, a tabloid newspaper created in response to the incredible success of the New York Daily News, never really caught on to the extent of the original. But Hearst certainly did know how to play the tabloid game, at least in theory. Lots of pictures, sensational headlines, and constant appeal to the baser instincts. One of those baser instincts that Hearst stroked was gambling. 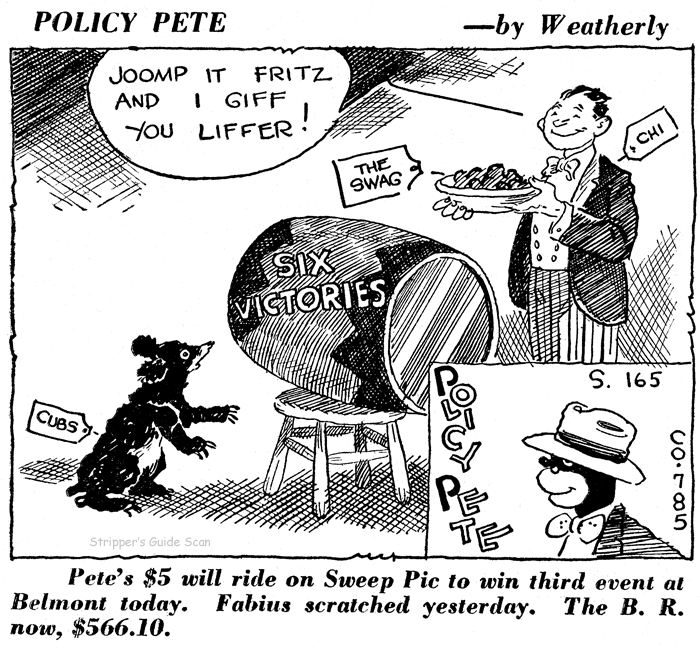 Following on the example of A. Mutt way back in 1907, journeyman cartoonist Art Helfant created a strip for the Mirror called Policy Pete in which readers could follow the ups and downs of a race track addict. Readers could accept his bets as 'hot tips' at their peril. The strip also offered 'lucky numbers' in the panel backgrounds, for use in illegal but highly popular numbers games, also known as the policy racket -- hence Pete's nickname. I only have a few isolated examples of the strip because Mirrors, as most tabloids, are quite scarce on the collectors' market. Luckily Jeffrey Lindenblatt was able to offer me some vital statistics on the strip based on Mirror microfilm held at the New York Public Library. The strip actually began under the title of George Takes a Chance on May 14 1925, less than a year after the Mirror debuted on New York newsstands. 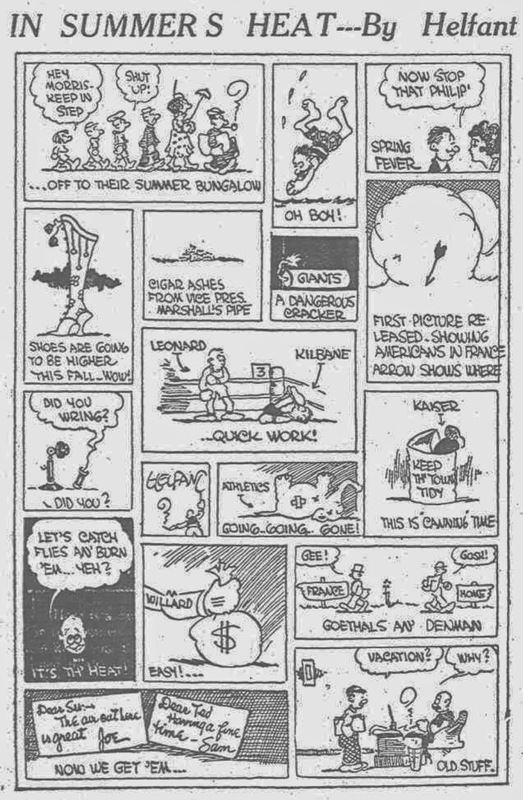 I presume the original protagonist was someone else, but Policy Pete proved to be the reader favorite, and the strip was renamed in his honor on August 16 of that year. Sometime in 1928 Art Helfant left the strip. Although Pete's adventuring days were now over, his betting habit would live on. The Mirror changed the strip into a panel (see sample two), and invited readers to submit the jokes -- paid for with the princely sum of a buck if yours was chosen. As you can see, the race track and numbers game aspects were intact. What was gone was a credit. The art was definitely no longer by the delightful Helfant, but the new ink-slinger was anonymous. Looks like one of the guys from the Hearst bullpen, but I'm not going to stick my neck out with a specific guess. My next (and last) sample, number three above, is from 1932. Poor Pete has now been relegated to a purely honorary role in a boxed vignette. As you can see, there is now once again a credit, to a fellow named Weatherly. The art looks eerily like that of Harry J. Tuthill (of Bungle Family fame) but it turns out that a Mirror sportswriter named Fred Weatherly was indeed at the helm. Although I have no samples later than 1932, I did a little digging, and then Alex Jay dug far deeper, and it turns out that the panel was definitely still running in 1949 (having been renamed just Pete sometime in the intervening years), and almost certainly ran until right around Weatherly's death in January 1958. Quite a nice run for an obscure little panel -- over thirty years! Tune in tomorrow as Alex Jay has Ink-Slinger Profiles of both Art Helfant, the originator, and Fred Weatherly, in the pipeline. Lee Wright Stanley was born in Topeka, Kansas, on May 2, 1885. His birthplace was found on his marriage certificate, and his World War I draft card had his full name and birth date. In the 1885 Kansas State Census, Stanley was the youngest of three sons born to T.C. and Olive, whose maiden name was Wright. They resided in Wamego Kansas. …As a boy Stanley lived in several Kansas villages. He sold his first pictures to a Peoria, Ill., paper when he was 14 years old. Later he went to Pittsburgh as a commercial artist and chalk plate cartoonist. 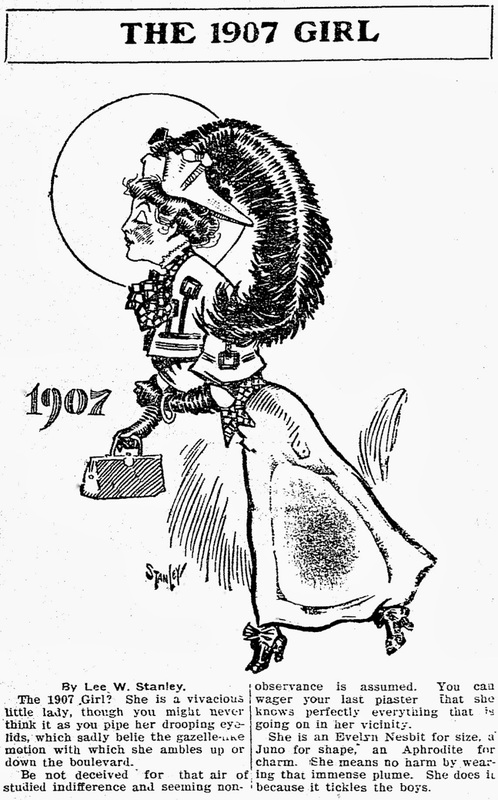 From Pittsburgh Stanley went to Cleveland where for 13 years he drew political cartoons on a local paper. The 1900 U.S. Federal Census recorded Stanley, his parents and siblings in McKeesport, Pennsylvania at 304 Fifth Avenue. His father was a “restaurant keep”. Stanley began his newspaper career on the Cleveland Press in 1903. He left the Press in 1914 for a one-year tour of the New York Journal, then returned to Cleveland to draw political cartoons and other illustrations for the old Central Press. The 1905 Cleveland City Directory listed Stanley, a Cleveland Press artist, at 1350 Walnut N.E. In 1906, Stanley produced A Half Minute with the Fan and Gussie and Gladys at the Ball Game. Six more strips and panels, such as Freddy Flip, the Summer Pest and Ye Old-Fashioned Girl, followed in 1907. Why Not? appeared in late 1908. 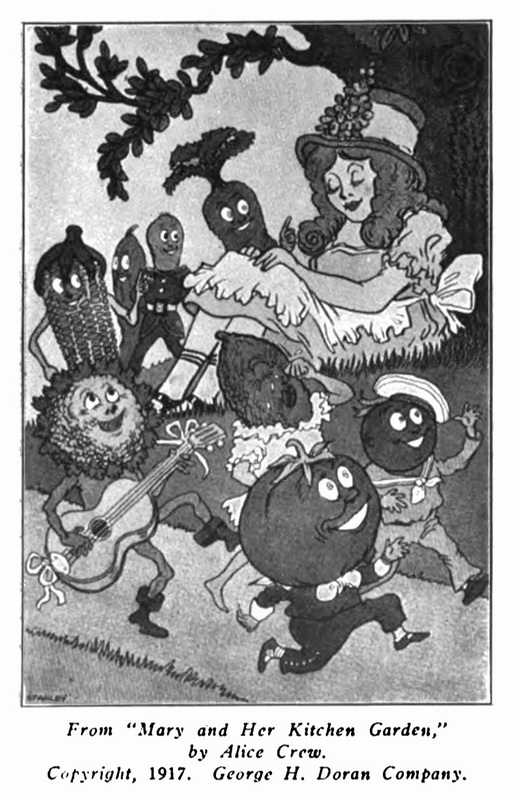 Dixie Bits and It’s Bad Luck were drawn in 1909. On August 24, 1907, Stanley married Constance Louise Hamilton. His address was 1640 East 85th Street, Cleveland. According to the 1910 Ohio State Census, Stanley’s household included his wife and mother-in-law. A 1910 Cleveland city directory listed him as a Cleveland Press artist at 1425 East 112th Street. The directories for 1911 and 1912 had 1316 East 112th NE as his address. In 1914, Stanley moved to New York City where he produced the short-lived Curly. After a year he returned to Cleveland. In 1916 Stanley resided at 613 Prospect Avenue SE. 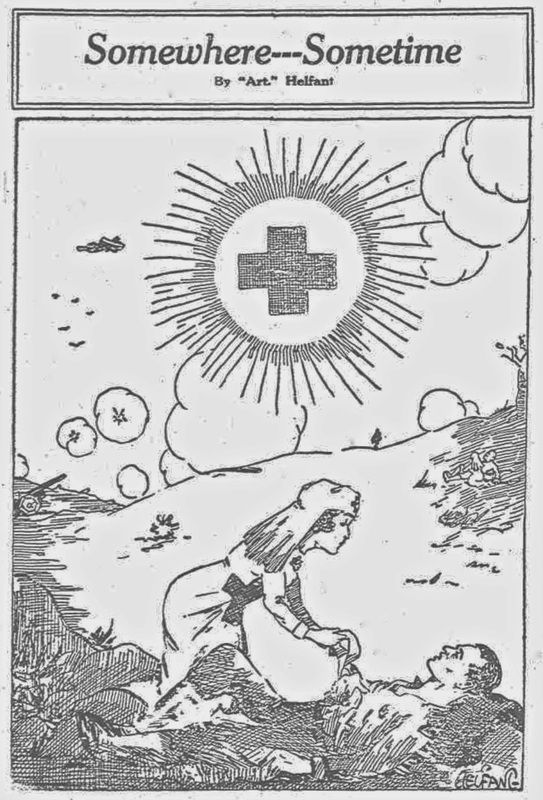 The Bookseller, Newsdealer and Stationer, November 15, 1917, praised a book illustrated by Stanley. A unique and pleasing Christmas gift book is “Mary and Her Kitchen Garden,” by Alice Crew, illustrated with the funniest full page color pictures and the most diverting kind of black and white sketches by Lee Wright Stanley. A gold lettered color picture bound octavo within its inviting lining leaves devoted to a picture and rhyme of “Mary” at work among her plants. On September 12, 1918, Stanley signed his World War I draft card which had his home address as 1291 Lakeland in Lakewood, Ohio. As a cartoonist he operated the Stanley Service Company in Cleveland, and named his wife as his nearest relative. His description was short and slender with brown eyes and light colored hair. On November 11, 1919, Stanley’s divorce was finalized. He married Harriet H. Fisher on December 7, 1920, according to the Cuyahoga County, Ohio, Marriage Records and Index at Ancestry.com. Stanley has not been found in the 1920 census, but he was listed in a number of Cleveland city directories. In 1921 he resided at 1311 Nicholson Avenue and was a Newspaper Enterprise Association artist. The next year he had a new address at 1549 Warren Road. His residence in 1925 was 1230 Summit Avenue. Stanley and his wife visited Europe in 1928 and the passenger list said their address was 19437 Frazier Drive, Rocky River, Ohio. The Aberdeen News said: “…he turned to illustrating children’s books. It was while doing this work that “The Old Home Town” idea struck. He has been doing it ever since and his characters have become known from coast to coast.” American Newspaper Comics (2012) said The Old Home Town debuted January 3, 1923. In 1924, Stanley and his wife toured some of the southern states, as told in the Evening Independent (St. Petersburg, Florida), March 10, 1924. 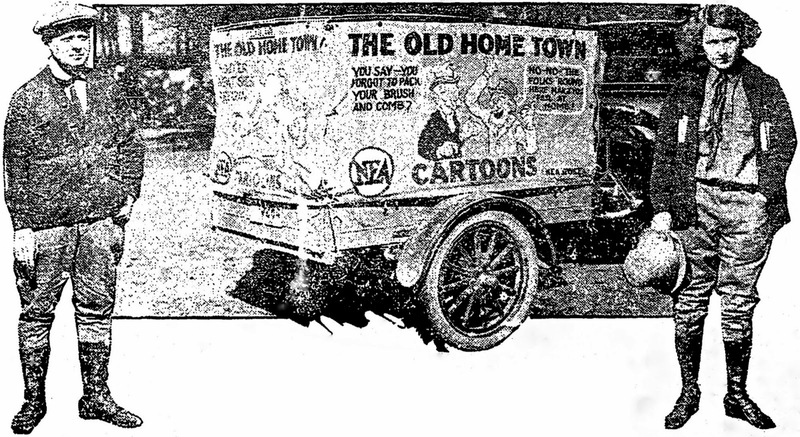 American Newspaper Comics said Old Home Town was preceded, in 1922, by Gassaway Miles and Gassaway Miles-Motorist. The 1930 census recorded Stanley in Rocky River at the same address. The newspaper cartoonist had a 15-year-old daughter. Stanley was one of several artists who contributed to the Central Press’s 1930 cartoon contest. Each artist did a drawing lesson. Stanley’s panels are here, here (page 7) and here (page 12). Rocky River was Stanley’s home town in the 1940 census; he lived at 20860 Avalon Drive. The cartoonist had an eighth grade education. His house was valued at $30,000. In 1939 he worked 52 weeks. 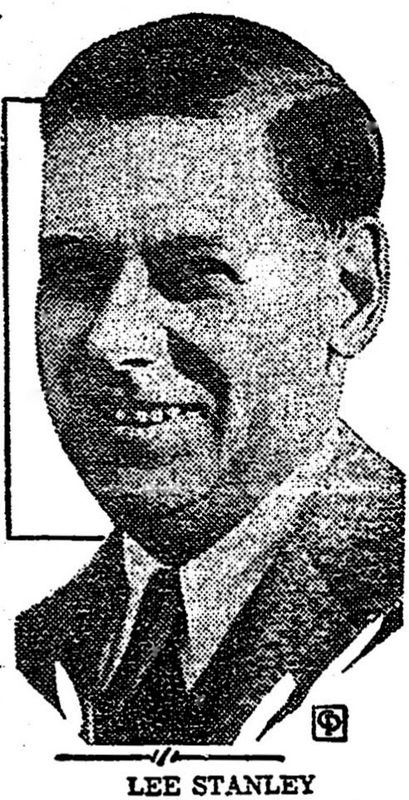 The Berkeley Gazette (California) January 3, 1941, reported the death of Stanley’s cat, Blackie. In 1966 he retired and Old Home Town came to an end. Stanley passed away at home on February 11, 1970, according to the Evening Times. More comics, articles and photos are here. He only gets one entry at Michigan State University's Reading Room Index! As far as I know, the prolific Lee Stanley worked exclusively for the NEA Service syndicate until the mid-1920s. That is, except for one short foray into the big leagues of New York City. 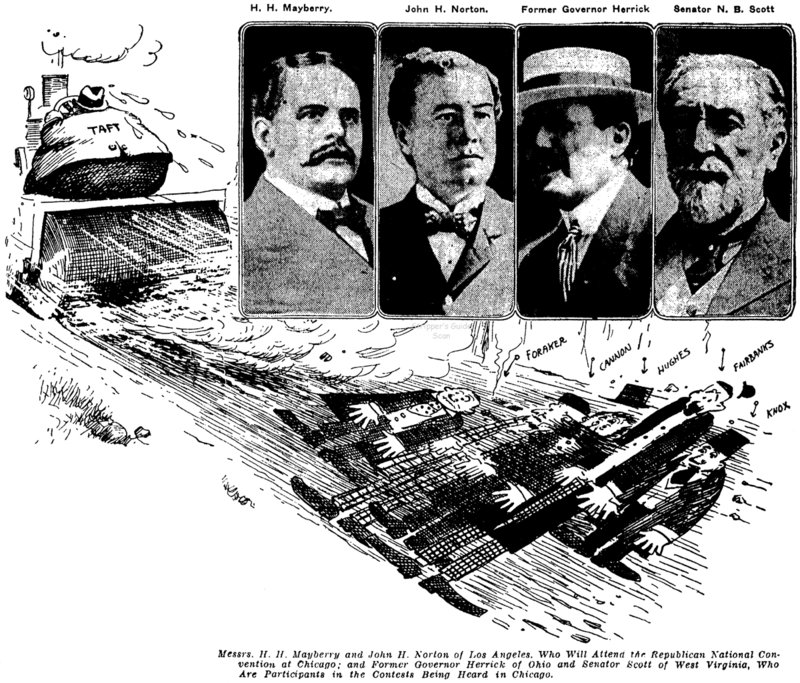 In 1914, Stanley had a strip accepted by the biggest of the big -- Hearst. Despite a somewhat weak and already overused premise, Curly was syndicated by Hearst's International Feature Service imprint. The strip concerned the romance between our hero, Curly, and the gal of his dreams, Elsie. The main obstacle to bliss is a rival named Baldy. Baldy is unattractive, but a healthy bank account and a willingness to spend it keep him in the running for Elsie's heart. The strip offers few surprises, recycling the same sort of gags that have been related in most tales of young romance. 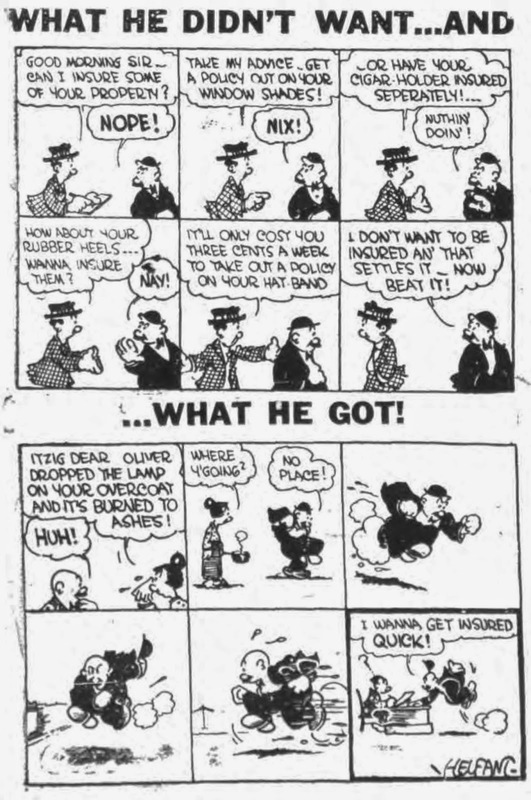 The one (slightly) interesting facet of the strip is that Stanley offered a 'Krazy Kat-esque' strip-within-a-strip that ran along the bottom of the feature. Informally titled Mr. Batch vs. The Well Known Mr. Cupid, it chronicled cupid's attempts to spear Batch with his arrows of love. Frankly, Stanley just wasn't much good at pantomime, and some of the little dramas are a bit hard to follow, at least for this reader. Stanley's shot at New York fame was ill-fated, as you might guess. Curly ran less than a month, from September 14 to October 10 1914 in the New York Journal.